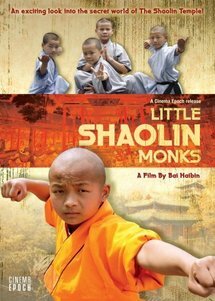 The Shaolin Kong Fu School opens its doors to several eager new students, 5-year-old Bing, a kung fu film fanati, 8-year-old Hao, a chunky spoiled brat; and farm boy Qiang, who's seen more trouble than the others. Then there's Miau, the only girl of the group, and she's ready to prove she can fight just as well as the boys. Together, they endure the ups and downs of a very tough school in this exciting and adorable martial arts adventure.